Since 1928 Steelway has been a market leader in the field of steel fabrication excellence and expertise. Manufacturing from two state of the art production facilities in the Midlands. 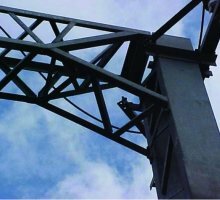 Our continued commitment to industry standards, specifications and design procedures, gives our customers total confidence, providing standard and engineered steel fabrication solutions, that meet project requirements, timescales and budgets. Our product offering is vast with industrial and architectural metalwork, steel fencing, access covers and security products. We provide a full in-house design, manufacture and installation service is available with on-site support. We have a highly skilled and experienced workforce who are supported by the latest technology, our structural engineer & draughtsmen use the latest 3D CAD technology. We are BIM compliant and have worked collaboratively with our clients on a number of BIM projects. Our team receive ongoing BIM training and are currently compiling our BIM execution plan. 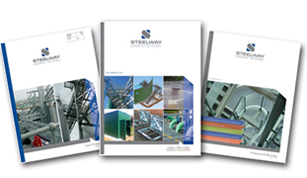 Steelway’s qualified and skilled installations personnel are managed by and our experienced & knowledgeable project management team. Design, manufacture and install safety critical access metalwork and architectural metalwork solutions including: flooring, walkways, staircases, platforms, ladders, fire escapes, handrails, balustrades, general and bespoke steel fabrications. Steelway Brickhouse: Design, manufacture and install access covers and frames in mild steel, stainless steel and aluminium. For use in the Water, Sewer, Telecommunication, Power, Rail, Domestic, Industrial and Commercial markets. Steelway Fensecure: Design, manufacture and install a range of steel fencing and gates to suit play areas, residential applications, parks, sports areas as well as heritage fencing, security fencing, multi-use games areas, street furniture and teenage shelters. Steelway Rail: Design, manufacture and install a whole range of specialist fabricated products for both modern rail infrastructure and heritage rail sector. Including, canopies GWR benches, lampposts etc. Design, manufacture and install a range of security products including LPCB certified – security access covers, security doors, barsets & window grilles, kiosks, cages and cabinets, fencing and gates.